SBE or the Side Band Engineers company were prolific in offering?fine CB radios built in Japan in the Seventies. 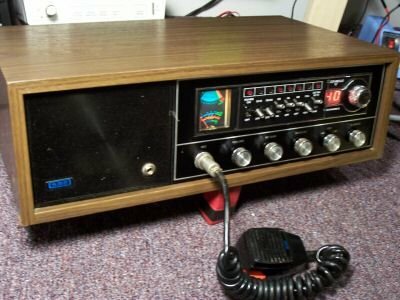 Using the tried and proven SBE 817 Mobile CB radio chassis with the unusual 3 chip PLL system, the SBE company engineered the Console VI Base Station with a KeyPad under microprocessor control to select the 40 Channels as well as memory and channel scanning right through to 27.700 with a few mods. The SBE Sidebander VI Mobile cb radio was also microprocessor controlled and was a delight to use in the mobile XA Ford Panel Van that was my work transport on the road between client offices repairing Micrographics equipment. The two large external rear door hinges were perfect to mount the 9′ stainless steel antenna on a special bracket that also doubled as a support for a telescopic aluminium pole that held a quick screw extendable Ringo up 6 yards in the air when out in the sticks dxing on some hill location around Victoria Australia. 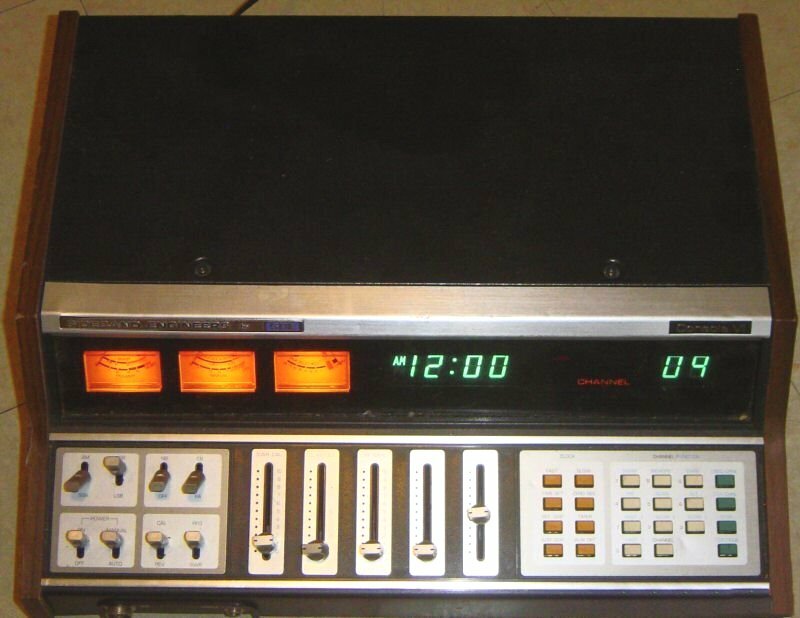 ?An SBE similar to the Console V below was my first true CB Base radio that has the same mobile internals as the SBE Liner 878 with the three discrete PLL chips controlling the channel selection code. The Side Band Engineers SBE models were a bit different to the rest of the CB radios out on the Citizens Band radio scene that mainly used the one PLL chip like the D858 & 02A based cb radios did at the time. The PLL code stepped in 5kcs and easily went to 27.700 so covered the freeband frequencies that were the international DX operating frequencies. I made many barefoot dx contacts world wide on the SBE Console V Base CB with a Black Leson TW232 microphone that I still have operating. All those spare switches on the front panel were handy for freebanding back in the 70’s and talking in the “RatHole” from home at the time in Black Rock on a three element yagi. The mobile SBE cb 40 channel SSB radios at the time were avoided by the buddies because they did not look as good as the other cb radio mobiles on the market, with a very plain looking black front face. The black plastic tuning knobs also looked cheap and the tx/rx meter was small. The Channel selector was also finely graduated with the 40 channels interlaced on a clear plastic background. At night it had a light highlighting the selected channel at the 12 o’clock position?? Hmm maybe at three o’clock, – damn i cant remember but will check soon and edit this if wrong. But for all its visual shortcomings, it was an awesome receiving and transmitting mobile cb radio that was the radio of choice for the AlphaXray cognoscenti. Especially when we all had linears in our mobiles behind them doing well over 250 watts into decent mobile antennas. The AlphaXray “Rathole” was alive with DX that no-one else on channel 16 or 35 even knew about. Fast Forward to April 2017! So the easy (?) one first – Power problems are usually the easiest to solve with luck. This problem took me a week of occasional hours to work out that I had made the fatal mistake of looking at a fuse to know its continuity was good. After coming to the conclusion that this issue was strange and did not make sense especially when I disconnected the antenna socket from the cable to the B&K Test set the 12VDC power dropped. Removing the Negative 12vdc lead from the power supply made no difference when I reconnected the antenna and it powered up again. So… an earthing issue. The SBE Console Six has a built in Clock that only works on AC 240V input that has a 1A fuse built inside on the transformer. The 12vDC input also is fused with a 3A std screw in on the back panel. The Schematic diagram will be in here to see this soon. Checking the DC fuse with a multi-meter for Ohms continuity told the story, open circuit! DAMN! New fuse, all OK and going like a train! I carefully pried out the PLL Can tabs to remove the PCB from the Can to access to L01 Inductor slug as it was at the bottom of travel looking from when still in can. I wanted to screw the slug at top of its travel so I could have more secure location of the tuning tool in the slug slot. Beware, they are easy to break and usually waxed in! Using my recently repaired other SBE Console Six I was able to determine the correct PLL VCO Frequency outputs for a few main channels to compare and set this PLL VCO on frequency listed on the PLL image. The VCO OUT Test Point on this radio is a small TP at the grey 50 Ohm Cable entry to the main PCB solder point. OR on top of the solderside of the VCO PCB when in Can. Will show soon. Much more to add soon.. Click HERE for More on SBE on original CQDX11.com site.. This entry was posted in CB Radio Classics, CB-Radio-Hobby, SBE - Side Band Engineers and tagged SBE by turbox. Bookmark the permalink.